A majority senate outcome would give pro-lifers the ability to remove pro-abortion obstructionist Sen. Harry Reid from the majority leader position. Having a Republican leader will allow pro-life legislation to be considered on the Senate floor for the first time in years. North Carolina has two senators running for election – Tom Tillis and Kay Hagan. 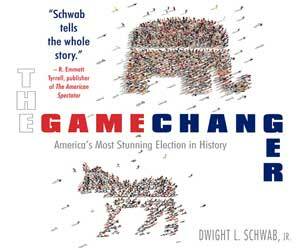 Only five senatorial Republican additions are needed to pass senate control to them. NC has the most hotly contested senate race in 2014. And, we already know in Hagan’s 6 years, she voted against pro-life interests 100 percent of the time, per National Right to Life. That’s not what a moderately conservative NC wants. With this piece, one can compare Tillis and Hagan on abortions and pro-life issues. It’s very obvious Tillis is quite pro-life, while Hagan is demonstrably pro-abortion. Some pro-lifers don’t even know Hagan’s radical position on abortion. Shockingly, Hagan now makes commercials saying how “moderate” she is. 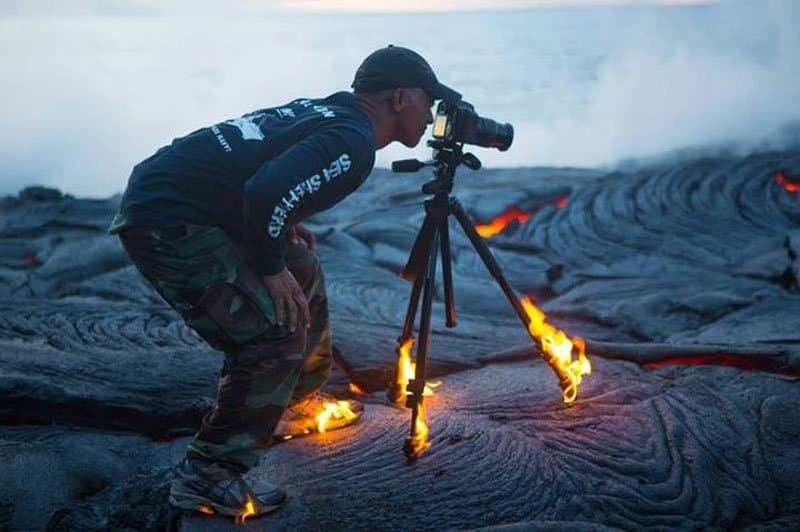 In this crazy capture, photographer Kawika Singson gets up close and personal with lava as his shoes and tripod catch fire. The photo went viral after being posted to the popular Facebook page, ‘I love science’ (6.1 million Likes). The image was taken somewhere in Hawaii. Hagan always stands with Obama to advance his pro-abortion docket. She voted for the pro-abortion and pro-rationing Obamacare, spending federal funds on abortion, and opposes protecting unborn children from abortion at 20 weeks – when science tells us they feel the pain of death. A total of 183,821 North Carolinians received health care cancellations after Hagan claimed you can keep your health insurance if you want it. Then we find out there’s an 18.6 percent poverty rate in NC, which is now 4.7 points higher than when Hagan was last elected. Then there was a $5,238 decline in median household income in NC since Hagan was elected in 2008. Now, the average number of days veterans wait to see a primary care doctor at Fayetteville, VA, hospital is 29 days. This is the longest wait-time in the country. Most telling, is the 95 percent of the time Hagan voted with pro-abortion Obama in 2013. Interestingly, Dr. Ben Carson (likely presidential candidate in 2016) noted 30 million Christians did NOT vote in the 2012 elections. Along with that, it was determined 93 million total Americans did not vote at all in the election. In additional personal research, Carson unveiled another shocking statistic: only fifty percent of those professing to be born-again Christians are registered to vote. More tragically for those Christians registered, only fifty percent of those actually vote. Hans von Spakovsky, a senior legal fellow at The Heritage Foundation, says the Holder-led Justice Department is clearly targeting NC to help Hagen, whose re-election could determine which party controls the Senate. NC is highly important in this election. Tillis is now 4 points down to Hagan in the latest poll. But pro-life is slightly ahead in other target states. Talking about this explosive social issue, Amanda Frost (Professor, American University Washington College of Law) was highly critical of Ginsburg in a [8/30/14] National Law Journal column for publicly taking sides on the part of the pro-death crowd in a Texas case. Bottom line, if one votes for anyone espousing the alleged “right” to an abortion, they are oblivious to the fact if one is aborted, they have no rights. They don’t exist any longer. That vote indicates whether you are a true American, or not. This is true for anyone for whom you can vote. Would you be willing to let other Americans know how you voted?